Match ends, Alloa Athletic 1, Inverness CT 0. 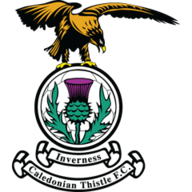 Second Half ends, Alloa Athletic 1, Inverness CT 0. Calum Waters (Alloa Athletic) is shown the yellow card for a bad foul. Foul by Calum Waters (Alloa Athletic). Billy King (Inverness CT) wins a free kick in the defensive half. Hand ball by David Raven (Inverness CT). Attempt missed. David Raven (Inverness CT) left footed shot from outside the box is too high. Attempt blocked. Greg Tansey (Inverness CT) right footed shot from outside the box is blocked. Foul by Jon Robertson (Alloa Athletic). Corner, Alloa Athletic. Conceded by David Raven. Substitution, Alloa Athletic. Isaac Layne replaces Greig Spence. Foul by Billy King (Inverness CT). Foul by Jim Goodwin (Alloa Athletic). Corner, Alloa Athletic. Conceded by Carl Tremarco. Substitution, Alloa Athletic. Graeme Holmes replaces Jordan Kirkpatrick. Corner, Inverness CT. Conceded by Andy Graham. Corner, Inverness CT. Conceded by Jon Robertson. Attempt blocked. Ross Draper (Inverness CT) left footed shot from outside the box is blocked. Substitution, Inverness CT. Aaron Doran replaces Liam Polworth. Attempt saved. Carl Tremarco (Inverness CT) header from the left side of the box is saved in the centre of the goal. Attempt saved. Iain Vigurs (Inverness CT) left footed shot from the centre of the box is saved in the centre of the goal. Corner, Alloa Athletic. Conceded by Ross Draper. Jordan Kirkpatrick (Alloa Athletic) wins a free kick on the right wing. Attempt missed. Iain Vigurs (Inverness CT) left footed shot from the centre of the box is close, but misses to the left. Corner, Inverness CT. Conceded by Neil Parry. Attempt missed. Alex Fisher (Inverness CT) left footed shot from outside the box misses to the left. Kevin Cawley (Alloa Athletic) wins a free kick in the defensive half. Substitution, Inverness CT. Alex Fisher replaces Scott Boden. Attempt missed. Liam Polworth (Inverness CT) right footed shot from outside the box is high and wide to the right. Attempt missed. Greig Spence (Alloa Athletic) left footed shot from the left side of the six yard box is too high. Foul by Scott Taggart (Alloa Athletic). Billy King (Inverness CT) wins a free kick on the left wing. Corner, Inverness CT. Conceded by Kevin Cawley. Corner, Inverness CT. Conceded by Scott Taggart. Attempt blocked. Iain Vigurs (Inverness CT) right footed shot from the left side of the box is blocked. Foul by Kevin Cawley (Alloa Athletic). Carl Tremarco (Inverness CT) wins a free kick on the left wing. Second Half begins Alloa Athletic 1, Inverness CT 0. Substitution, Alloa Athletic. Kevin Cawley replaces Jamie Longworth. Substitution, Inverness CT. Ross Draper replaces Jake Mulraney. First Half ends, Alloa Athletic 1, Inverness CT 0. Jamie Longworth (Alloa Athletic) is shown the yellow card for a bad foul. Iain Vigurs (Inverness CT) wins a free kick on the left wing. Jordan Kirkpatrick (Alloa Athletic) wins a free kick in the defensive half. Jason Marr (Alloa Athletic) wins a free kick in the attacking half. Attempt missed. Iain Vigurs (Inverness CT) left footed shot from outside the box is too high from a direct free kick. Iain Flannigan (Alloa Athletic) is shown the yellow card for a bad foul. Attempt blocked. 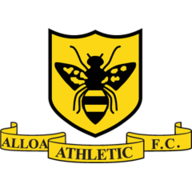 Jordan Kirkpatrick (Alloa Athletic) right footed shot from outside the box is blocked. Jamie Longworth (Alloa Athletic) wins a free kick on the right wing. Attempt missed. Jake Mulraney (Inverness CT) left footed shot from outside the box is close, but misses to the left. Goal! Alloa Athletic 1, Inverness CT 0. Jason Marr (Alloa Athletic) right footed shot from very close range to the centre of the goal. Corner, Alloa Athletic. Conceded by Kevin McNaughton. Attempt blocked. Calum Waters (Alloa Athletic) right footed shot from a difficult angle and long range on the right is blocked. Jim Goodwin (Alloa Athletic) wins a free kick on the right wing. Calum Waters (Alloa Athletic) wins a free kick in the defensive half. Attempt missed. Liam Polworth (Inverness CT) right footed shot from outside the box is too high.